Yucatan Fried Beans or “Frijoles Colados” is a very typical dish in the Yucatan Peninsula. We cook the beans with a piece of onion and Epazote herb and then processed to make a lovely puree and finally strained before frying them with a couple of tablespoons of flavorful lard. 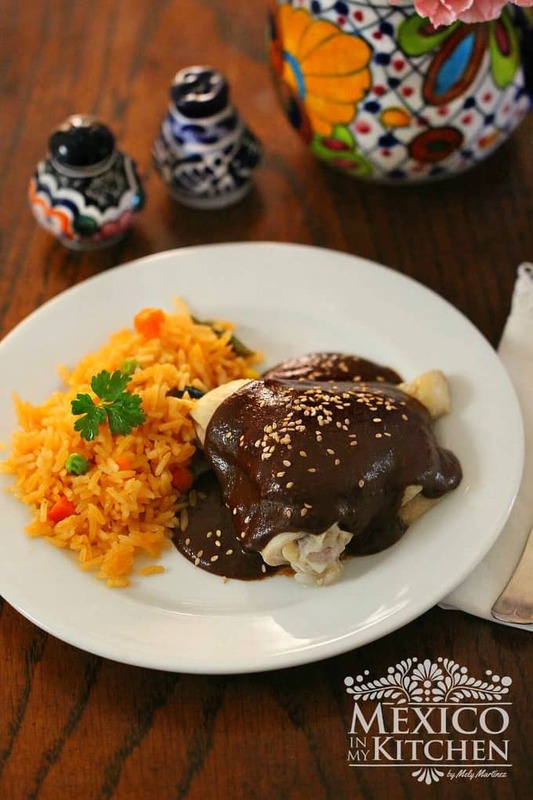 This is practically the Yucatecan version of the well know refried black beans, although in Yucatan there are several textures for this dish, you can have then slightly dry, thick like a creamy paste, to spread over antojitos, like tostadas or panuchos, or watery almost like a bean soup. When I prepare black beans this way, I usually make the creamy thick version to use over tostadas. If there are some leftovers, when we reheated them, they will be a little drier. Then, they will be the “dry version,” and we used them as you will use refried beans, as a side dish for your breakfast or any other meal. I would say that best name to describe this dish would be ”Strained fried beans.” And just in case you were wondering, they are called Tsaaj Bi Bu’ul in the Mayan language, Tsaaj means lard or something fried, and the Mayan word for beans is Bu’ul. 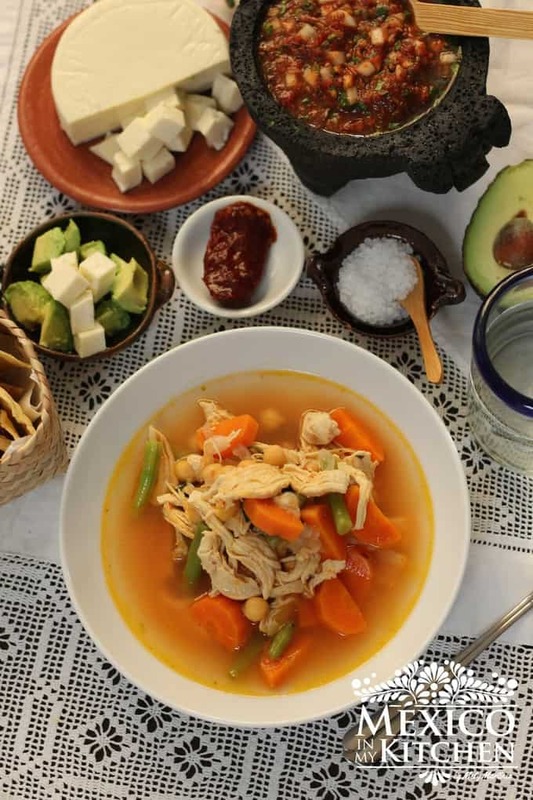 For this recipe, I am using cooked beans that I have in my fridge; you can find how to prepare the beans following this link: Frijoles de la Olla. Place the beans and its broth in your blender, chop the roasted onion and add it to the blender too. Process the blender contents until you have a beautiful puree texture. Heat lard or vegetable oil in a medium-size skillet. Pour the bean mixture into the skillet using a strainer. Add the roasted habanero pepper to the beans and keep cooking the mixture stirring occasionally. Cook until desired texture, dry, creamy or liquid. Yucatan Fried Beans or Frijoles Colados is a very typical dish in the Yucatan Peninsula. We cook the beans with a piece of onion and Epazote herb and then processed to make a lovely puree and finally strained before frying them with a couple of tablespoons of flavorful lard. 4 cups of cooked black beans and its cooking liquid. Roast onion slices and habanero pepper over a medium heat, turning from time to time to avoid burning. There are several ways to prepare these Yucatan Fried beans; some people fry the onion and habanero pepper, then discard the habanero, it is used only to infuse flavor to the dish. As I always tell you, every household cook has his/her own of cooking. If you want to adjust the texture of the beans to a creamy one, just add more of the beans liquid, chicken broth or water. To make it thicker, cook for a longer time to dry the bean paste. I hope you enjoy this delicious recipe for Yucatan Fried Beans. Filed Under: Appetizers, Basic Recipes Tagged With: black beans, Yucatan Black beans, Yucatan. Found your website while looking for various recipes away from the usual sites, i.e., Food Network, All Recipes. Your recipes even I can do and get superb results. So glad you took a detour on the web and found our recipes. Thank you for stopping by. Have fun in the kitchen cooking Mexican meals. If you have any questions, please send me an email, I’ll be happy to help you.